Very pleased with ourselves!!!! Digger out of the lake and the logo with the web site are done. Not all done but the blank pages are up with our new logo. We think it looks great and Chrissie did a great design which clearly identifies what we are. A professional carp fishing business. It looks fantastic on our web site too. Our blog page is ready so I must start that tonight!!! Another fine day. We have been very lucky with the weather this week. This warm spell has had a dramatic affect on the surrounding countryside. Most trees now have a slight green tinge where the leaf buds are coming alive. Not too much to do around the lake today and we have domestic stuff to sort out. I wanted to use the chainsaw today just so I handled it before the real work started. We had some large branches over-hanging the edge of the lake that had to be removed before they snapped. Jean Pierre was already there working on his own land above Le Coly. He came over to us straight away and we told him what we would be doing this morning. 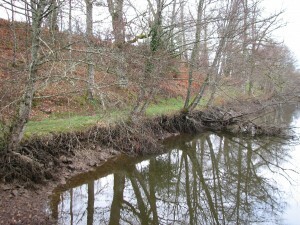 He reminded Tom and I to leave the branches on the bank for collection later. Jean Pierre asked me again whether we wanted the large branch pulled out of the lake. Tom and I both thought that this was good to leave where it was. Good cover for the fish and we had caught fish on that spot. Jean Pierre was so pleased that we had decided to leave it where it was. Broken tree left in Le Coly for the fish as cover. In fact Jean Pierre was so pleased on our decision he shook both our hands!!!!!! My finger was a lot less painful and I felt it was safe to use the chainsaw. A bit strange as Jean Pierre took my chainsaw and started trimming the bank. I stopped him and took it back. He was having trouble starting it anyway and its usual as each saw has its own character to me. You get to know starting, running and stopping. Although I had only used it briefly at our home I had read every word of the manual. So I explained that Tom and I would do this job and he could carry on with his own work on his land. We both thanked him very much for all his help. We had finished clearing what we wanted by noon when 2 men appeared. One guy was from Departementale Des Territories, who had previously inspected the lake and the other guy I guessed was from the Garde-peche as he was wearing a gun on his belt. Tom and I both chuckled at this!!!! Why was he tooled up!!!! Were we that scary!!!!! I was very concerned by their visit. 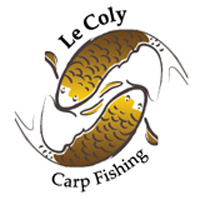 Was there a problem with Le Coly??? I waited until they had finished their chat with Jean Pierre and their circuit of the lake and I approached the guy from the Departementale Des Territoires. Through my very bad French I found out that it was just a follow-up visit and there were no problems with Le Coly. However he was very concerned with the lake opposite our property. 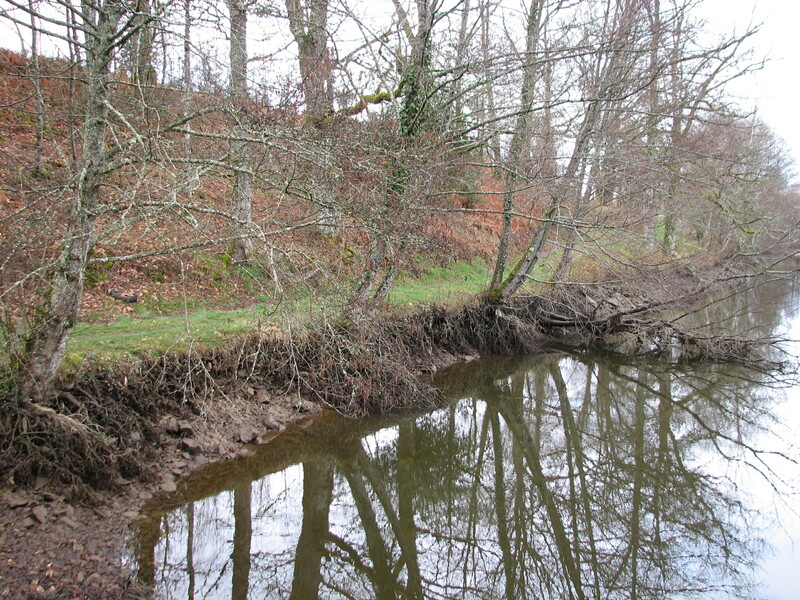 It seemed that this lake was putting a lot of silt in the river from its over-flow. I was very pleased and the property opposite was not my concern!!!!! Tom and I had now finished and it was back home to get on with some domestic stuff and a blog to start. A trip to Freedom lakes tomorrow which both Tom and I were looking forward to!!! !